Some people choose to pay for counselling as it can give them a bit more freedom. On our counselling page we talked a bit about why people might choose to have counselling. Other life problems and events which can be very difficult to deal with are things like the death of a loved one, divorce, redundancy, health issues, bullying and more. You do not have to be in crisis or nearly in one before choosing to have therapy. Our private one to one counselling sessions are just £40 each and you need to pay a week in advance. Couples counselling is £60 for each session. Payment can be made by card, bank transfer, cash or cheque. Private counselling is open-ended and can last for as long as you find it helps you. Each session is 50 minutes long. It is for people aged 18 and over. 24 hours’ notice is needed for a cancellation of a session. Daytime and evening appointments are available Monday to Saturday and we have rooms in Colchester, Clacton and Maldon. There is free parking in Colchester and Maldon but you will need to use a local car park in Clacton. Some employers will fund the cost of counselling so you may want to talk to your boss about this as an option. You can drop us an email on enquiries@mnessexmind.org or give us a call on 01206 764600, Monday to Friday 9am to 5pm. We can call you back at a time easy for you to have a short telephone assessment. 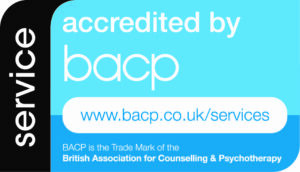 This is where we can chat about whether our private counselling service would be helpful to you. This first step is free of charge.